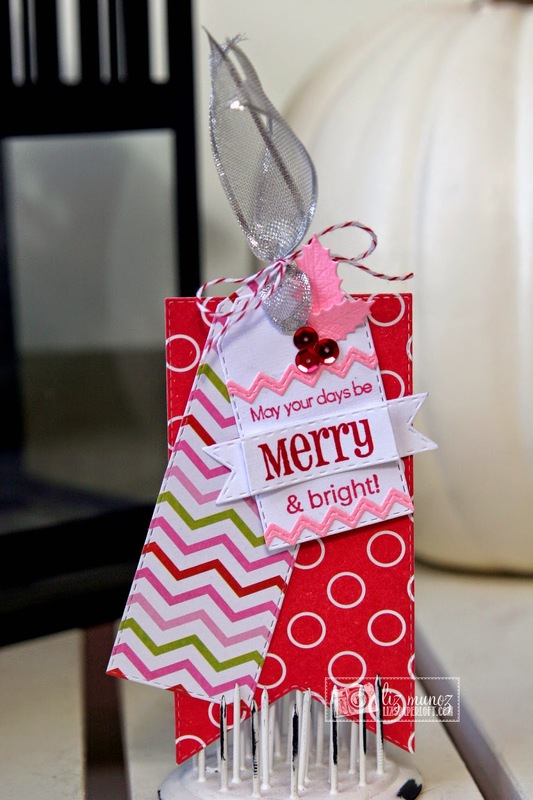 Liz's Paper Loft: Tag ~ Merry and Bright! Good Morning! I must be in a tag mood :) since I have another one to share with you today. This tag was made with two different dies. 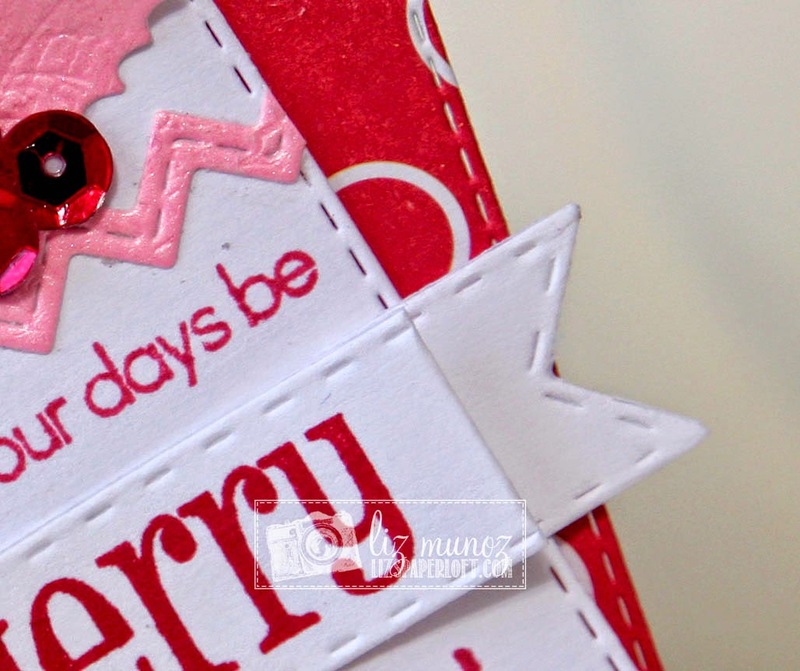 To make the striped tag, I elongated it with the smaller tag die. It was super easy to do. After stamping and adding the pink rick rack, I die cutted the holly leaves out of the same pink pearl paper. Quick, easy and ready to go on a package or card! SUPER CUTE Miss Liz! I just LOVE how you did that small tag & "super sized" it! lol….. GREAT colors as well!!! So cute, Liz! Love the bright colors!!! Liz ~ Oh my your tag is totally MERRY and BRIGHT!LOVE it! The colors seriously ROCK together!